Click the title of any event to see more details. 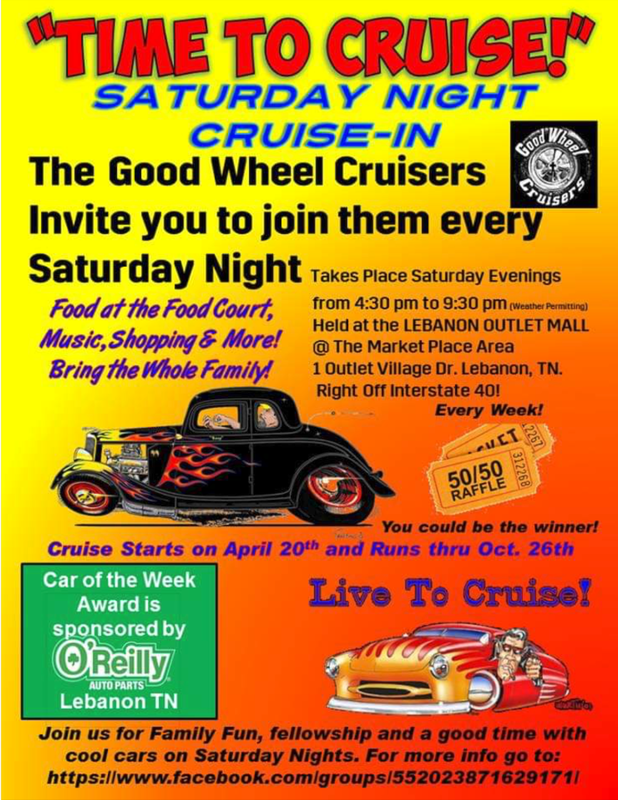 Hosted by the GOOD WHEEL Cruisers car club. Cruise runs every Saturday weather permitting from 4-10pm. Cruise starts on April 1st. Cruise located in the Old Courthouse parking lot located on the Square. Trophy for Car of the Week and 50/50 drawing too. For more info go to Facebook and then Good Wheel Cruisers page. Held Every 1st Friday Night. 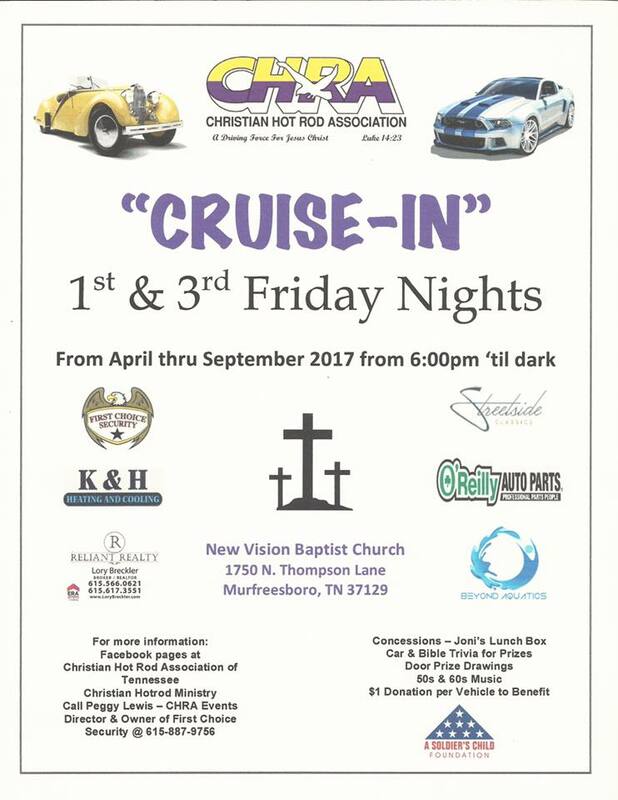 The Cruise-In is being held at the New Vision Baptist Church, 1750 N. Thompson Lane. Cruise runs from: 6pm til Dark, April thru September. 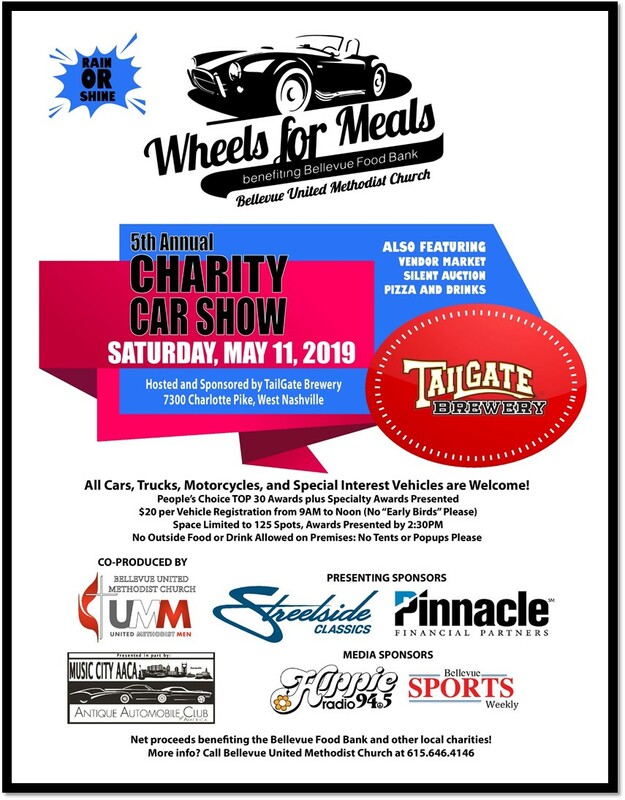 There will be concessions provided by Joni’s Lunch Box, Car & Bible Trivia for Prizes, Door Prizes, 50’s & 60’s Music, $1 Donation per Vehicle to Benefit A Soldier’s Child Foundation. 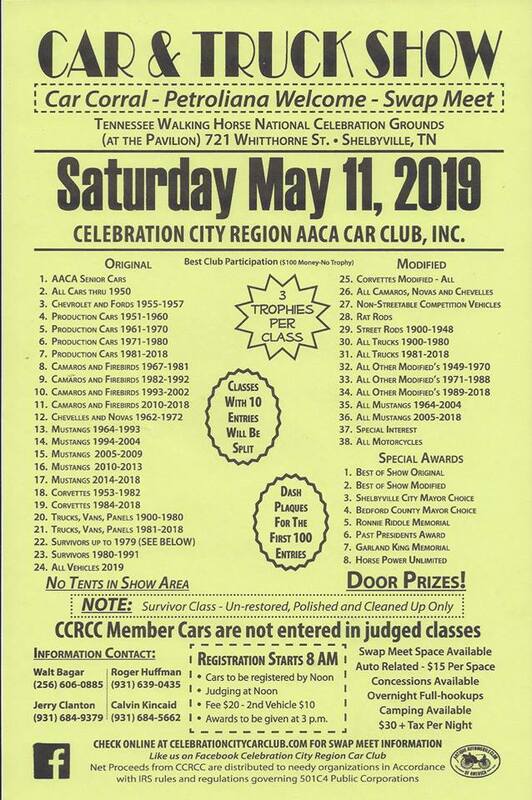 For more information: Facebook pages at Christian Hot Rod Association of Tennessee or Christian Hotrod Ministry. Or call Peggy Lewis – CHRA Events Director & Owner of First Choice Security @ 615-887-9756.